The complete soundtrack recording of Laurie’s newest piece, Heart of a Dog, will be available from Nonesuch Records on October 23, 2015. The Nonesuch album is the full audio recording of the film, including all music and spoken text, and is available to pre-order now on iTunes and in the Nonesuch Store. 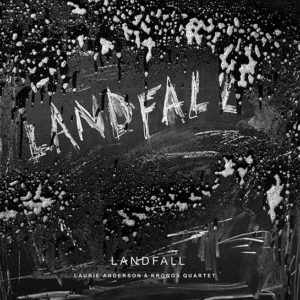 A limited-edition print autographed by Laurie Anderson is included with pre-orders in the Nonesuch Store while quantities last.